what is Chris Colfer's Favorit animal? Do Du think Cory likes to joke around and tease Chris in fun (like a big brother would do with his little brother)off/on set? Die Fanauswahl: Oh totally, I'm sure he does LOL!!! I just want to get an idea of what Du guys all like. I personally prefer Kinn. Lemme know what Du think. Be honest. Both Cory & Chris are video game fanatics. If they were in a competition together, who do Du think would win? Do Du think Cory & Chris look like they could actually be brothers? Die Fanauswahl: OMG yes!!! They could totally pass for brothers!!! Whats chris colfer favourite colour? Saddest Kinn Fan fiction you've ever read? Do Du hope Chris and Cory can rekindle their awesome friendship this Jahr (since last Jahr was it seemed kinda neglected)? Who else wants to see a Cory & Chris duet happen on glee?? THR: Who from the cast has impressed Du vocally? Word from spies on set with a history of pin-point accuracy is that Cory had been unhappy on the Zeigen since somewhere around mid-season 3. So what has been proposed is that you guys help us out Von recording yourself on your phone, webcam oder video camera telling us why Du Liebe their relationship and why Du would Liebe to see more. Perhaps even what you’d like to see. Cory Monteith says that Schauspielen like fellow McKinley High Senior was quite challenging despite the fact that they've been working together for three years now. a comment was made to the fan art: fuchs photoshoot 2012! an answer was added to this question: Whats chris colfer favourite colour? a comment was made to the poll: Favorit Cory & Chris Foto (Round 1)? 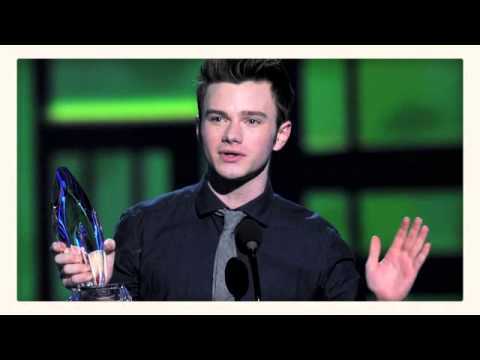 a question Wurde hinzugefügt: Whats chris colfer favourite colour? 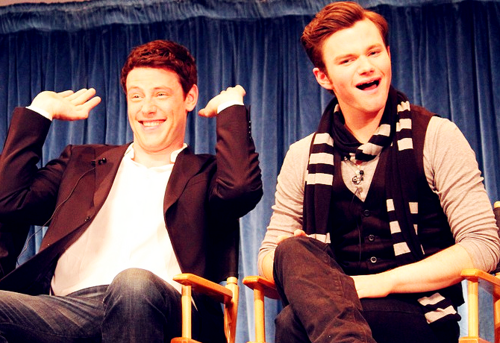 (True oder False) The Glee cast considers Cory Monteith and Chris Colfer to be the comedians of the group.